Complete difference between My Photo Stream vs iCloud Photos. Find the best Photo sharing app on an iOS device. We will analyse both of these on every aspect. Users can find the best app and use on their iPhone or other iOS devices. You might be using iCloud Photos on your iOS device but have you ever tried My Photo Stream? It might be possible that you may be using My Photo Stream and iCloud Photos both the apps. But don’t know the differences. The Photo Stream shares your all photos to other iOS devices, and that is what precisely iCloud Photos do. Then, what are the differences between them, right? Well, here I am going to clear all your doubt regarding the differences between My Photo Stream vs iCloud Photos. What you have to do is that just be with me till the end of the article. 1 What is My Photo Stream? 2 What is iCloud Photos? 3 My Photo Stream vs iCloud Photos – Which One to Use? What is My Photo Stream? My Photo Stream is an amazing feature of the iPhone which allows you to share and view the recent clicked photo on your iPhone across all the iOS devices. What that means is that you don’t have to copy and paste the actual photo on any other iOS device to view it. If the My Photo Stream is turned on while clicking the picture, then the photo will be uploaded to the iCloud and immediately downloaded to your other iOS devices. Using the My Photo Stream feature, a user can upload his or her photo which has been clicked from the past 30 days. Also, a user can store up to 1000 photos using this fantastic feature. One major drawback of this feature is that it does not involves to let you upload the videos as well. That is why Apple created iCloud Photos. iCloud Photos or iCloud Photo Library is something similar to the My Photo Stream feature of iPhone. The My Photo Stream use to upload the photos to the iCloud and share it with all other iOS devices immediately, right? The iCloud Photo Library does the same but it has pros over it, and that is letting you upload videos as well. Not even that, the iCloud Photo Library gives 5GB of memory space so that you can store and share your photo/videos to your friends. The iCloud Photo Library also allows the user to access their libraries from a standard web browser as well. What major thing you will require to have is just the credentials of your Apple ID, nothing else. 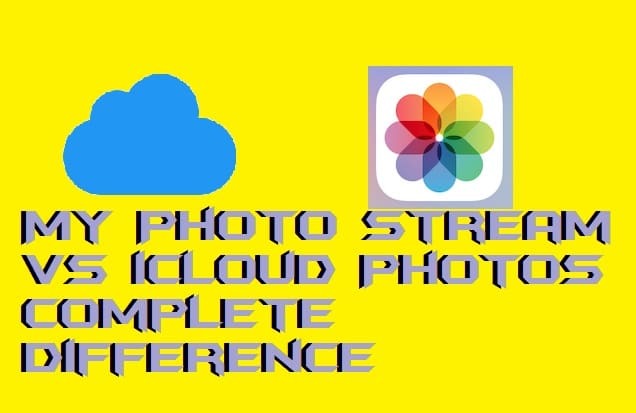 My Photo Stream vs iCloud Photos – Which One to Use? Talking about which one to use between My Photo Stream vs iCloud Photos is very simple. If you only want to share or view your photos from the past 30 days on all your iOS devices, then you must use My Photo Stream. But, if you want to share or view photos along with the videos, then you must use iCloud Photo Library frankly. But, what if you only want to share or see more than 1000 photos? And, what if you want to view or share photo and videos but your iCloud storage if full neither you want to get any space by paying some penny? Definitely, I understand the scenario completely. You can use Google Photos for the photo uploading and can handle any cheap rated cloud service for photo/videos both. This was all about the differences on My Photo Stream vs iCloud Photos. Basically, there is not any factor by which you can compare both the services one on one. 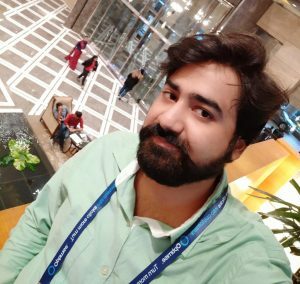 So, I have shared what they actually do and what actually you need to look for. If you have read the last section of the article, then you will get some suggestion over there which might help you a lot in choosing better options then this. Share this article with your friends and family members so that they can also get some knowledge on the same.